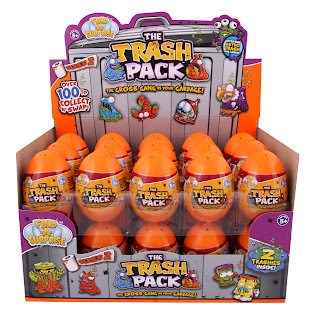 Update (3/17/14) - See my newest post featuring Series 6 Trash Pack Rotten Eggs in purple eggs- Perfect for Easter baskets -Giveaway for a 5 pack ends 3/24/14. I frequently write about toys with a certain amount of nostalgia, but once in a while I find something new that just grabs my attention and that of my grandson and I just have to share it with you. The Trash Pack falls into this category. I first discovered the Trash Pack in September, 2011 at an A Time to Play Showcase. This stack of miniature trash cans was grabbing everyone’s attention – including mine and I was happy to be bringing one home. My daughter didn’t want me to give it to my two year old grandson and it did say 5+ (The trashies are small). 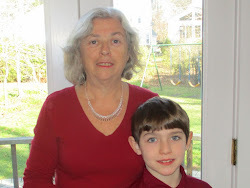 But I had it on the counter in my office waiting to be reviewed and my grandson was as attracted as everyone else. At first I let him hold it and we watched the video of the commercial – over and over. Eventually, my daughter relented and we opened the Trash Pack. My grandson loved playing with the two trashies in little green trash cans and mastered putting them in and out of the plastic insert to the Trash Can. We watched more videos. We found them on the online collector’s guide. And then…like a light bulb went off, he realized that there were lots of trashies and he had just two. He began saying, “More trashies, more trashies.” But, by this time ToysRUs, the sole retailer in 2011, was sold out. The Trash Pack had become an overwhelming hit. 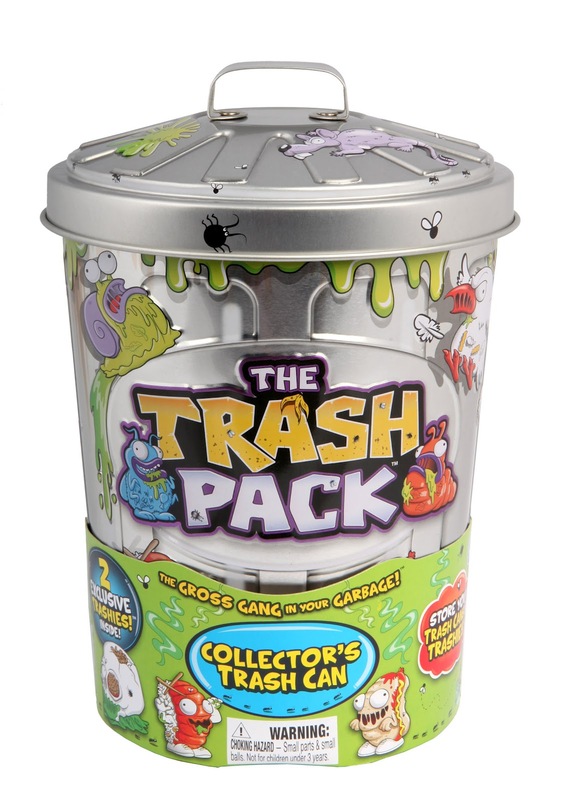 But now, the Trash Pack Series 2 is available in stores – retailers everywhere and online – not just ToysRUs. I was lucky enough to visit the Moose booth at Toy Fair in February and receive a two pack of trashies in the Series 2 Orange trash can. Zach, my grandson, was overjoyed. It is hard to explain how this gift of a small item has been such a big hit – but the trashies have really captured his imagination. In just the few months since he first was introduced to the Trash Pack his type of play has matured. He takes on the folded up paper collector’s guide, unfolds it carefully, lies on the floor and studies it thoroughly. He likes to find his new trashies on the guide, say their names and talk about which ones he’d like to have. As we watched some online video reviews, I realized that this was part of the interest in trashies even for much older kids. My trip to Target is planned for this afternoon to get the two pack of trashies in an egg for Easter. The Trash Pack and trashies are fun!!! I must say that I enjoy playing with the trashies with Zach. And he always put them away carefully – now kept on the bottom shelf in my office. I know as soon as he enters the door of my office what’s on the agenda – THE TRASK PACK! Kids – of all ages – like to collect things. These are wonderful collectibles. The are small and squishy and inexpensive. A grandparent can bring a small pack when you visit. Wow – This will make a perfect and unique Easter Basket. Even if you aren’t making an Easter Basket, this Trash Pack gift is sure to put you in the “cool grandma” category. And it is easy to enter. Just leave a comment and please, please email me your email address so that I can notify you if you win. Send your email address to marion@grandmachronicles.com. I promise not to use it for anything else except to notify you if you are the winner. 2. 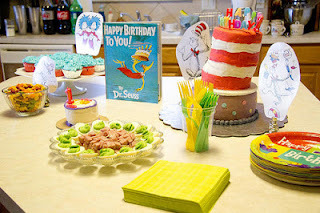 Additional entry – Like The Grandma Chronicles on facebook. http://www.facebook.com/grandmachronicles and post comment here that you did. 3. Additional entry – Post a link to this article on twitter and leave the information here in a comment. All entries posted by Tuesday, April 3rd at 11:59 PM will be considered. Sorry - I know that there are Trashie fans around the world, but this giveaway can only be mailed to a US address. Winners will be chosen using random.org. Check back on Wednesday, April 4th and the winner will be announced. April 4th - Thanks to everyone who left a comment here, and liked the Grandma Chronicles at facebook. Lisa won and this giveaway is now closed. If you like The Grandma Chronicles at facebook, notice of new posts - including more giveaways - will show up in your newsfeed and you won't miss any. Check out The Grandma Chonicles on facebook today.